American Eagle Outfitters (NYSE:AEO) was one of the few apparel retail companies that posted an impressive holiday sales performance. Despite this, the share price of the company fell 3.2% in the aftermath of the company declaring an 8% increase in the comparable sales for the two months of its fourth quarter of FY 2017. This can be attributed to the fact that the company did not revise its Q4 earnings guidance upwards, from its earlier given range of $0.42 to $0.44 per diluted share, which implies a 7.7%-12.8% improvement over the corresponding period of FY 2016. Consensus expectations for the quarter are at the upper end of the guidance range, coming in at $0.44 per share, with revenues of $1.21 billion, a 10.2% growth over the corresponding quarter of the previous year. 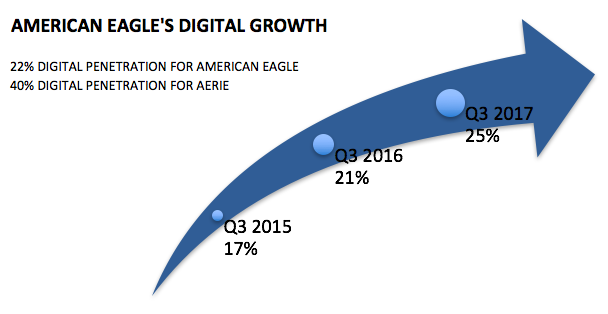 This growth is expected to be driven by the Aerie segment, as well as an improvement in the digital revenues. We have a $20 price estimate for American Eagle, which is slightly below the current market price. 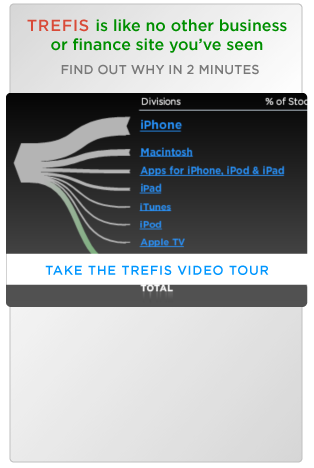 The charts have been created using our new, interactive platform. You can click here to modify the different drivers, and arrive at your own price estimate for the company. American Eagle’s lingerie and activewear brand, Aerie, has gone from strength to strength, driving sales growth for the company. It posted a 14th consecutive quarter of positive comps in the recently reported third quarter earnings, at 19%, building on the 21% seen in the prior year period. This figure is all the more impressive when compared to the growth figures delivered by its competitors. While the brand is much smaller in terms of sales when contrasted with Victoria’s Secret, the latter posted a comps decline of 5% in Q3. In addition to impressive growth in core intimates, the company has seen strength in apparel, active wear, and swim wear. A lot of this growth has been a result of the efforts the company has put towards its digital channel, which has been growing at a tremendous rate, and constitutes 40% of Aerie revenues. Meanwhile, the brand’s brick-and-mortar stores are equally valuable to the company, as they result in an increase in the digital demand. The company found that if it has a store in a location, it tends to drive digital demand at 1.5 times the store’s sales. American Eagle delivered an 11th straight quarter of double-digit gains in its online sales in the third quarter, and represented 25% of the total revenue. Given the robust performance of this business, the company has focused its marketing on the digital space, which should be highly effective in drawing in new customers. Moreover, to reel in these customers, AEO has also launched a new rewards program, which should ensure growth in the future, as well.